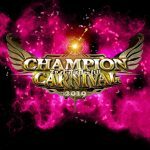 For all the hand-wrangling and complaining about War of the Worlds not airing live on iPPV or the VOD of said shows not showing up for a few weeks emerges this diamond in the rough, a beautiful live iPPV from Toronto, Ontario, Canada as New Japan Pro Wrestling invades Ring of Honor for Global Wars Night 1. It may not stack up as the deepset of the four NJPW/ROH joint shows in 2015, but the opportunity to watch ACH vs. Shinsuke Nakamura live is well worth the $10. 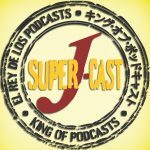 For those worried about Ring of Honor’s less then stellar history with iPPV, things have been much better since they ditched GoFightLive and instead went with their own system. I probably jinxed it by saying that, but, hey, don’t shoot the messenger. Elsewhere on the card, one of the most bizzare pairings ever as Gedo and…Moose take on the team of Silas Young and Takaaki Watanabe. Joe Lanza likes to call random matches like these Fire Pro Random Button Matches. This one is the gold standard. So random it would take two memory cards to load these guys. Gedo and Moose aren’t even in the same wrestling universe — having them team is going to be something to behold. Joe Lanza (@JoeMLanza): This is one of the most intriguing matchups on the entire tour. I think Nakamura will feed off of the intense, hard hitting, energetic style of ACH, which should make for a great match, and i’m looking forward to seeing ACH take Boma Ye bumps. This continues to be a year of dream matches for ACH (Samoa Joe, Alberto El Patron). Warren Taylor (@TeddyNoir): I am with Aaron this is the match I’ve been looking forward to all week. ACH has stepped up his game against higher caliber opponents this year. I expect the same from him against Nakamura. Aaron Bentley (@aaron_bentley): Since these cards were first announced, this was my most-anticipated match. ACH will bump like a madman for Nakamura and (not that the King of Strong Style is generally lacking for energy) it may be that ACH’s energy is infectious. If everything clicks, this could be fantastic. Joe Lanza: Exhibit A of a Fire Pro random button match. Warren Taylor: If a match features Silas Young it cannot be bad. Aaron Bentley: This is one bizarre matchup. Moose is apparently on his way to a program with Jay Briscoe so somebody is taking a Spear. 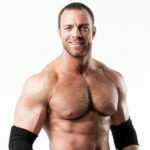 Warren Taylor: Chris Sabin’s work on the indies as a “Detroit Patriot” this year has been a joy to watch. His ring work has not been bad either. I think he and KUSHIA will have a solid match with the youngster getting the win. Aaron Bentley: KUSHIDA is winless so far on this tour. I don’t expect that to continue against Sabin. My only concern is whether The Addiction get involved. Hopefully ROH is smart enough to keep the KRD angle out of this beautiful week of shows. Joe Lanza: It’s The Kingdom, so it’ll be a match. Colossal waste of Sydal, burning one of his two matches on the tour on Mike Bennett. Warren Taylor: I wonder if Liger is going to motorboat Maria again? Aaron Bentley: Another weird match but I guess we have to find someone to give the IWGP Heavyweight Champs easy victories. Luckily for Sydal this isn’t in Philly so he probably won’t hear too many jokes about his junk. Warren Taylor: Expect this one to be short and inoffensive. Aaron Bentley: This will probably look like a poor imitation of every four-way tag match on every NJPW card. But with The Decade involved, I’m not sure Warren is right that it will be inoffensive. The ROH storyline involving The Addiction and reDRagon could be in play here and it’s as good a time as any for Fish & O’Reilly to get one back on Daniels & Kazarian. 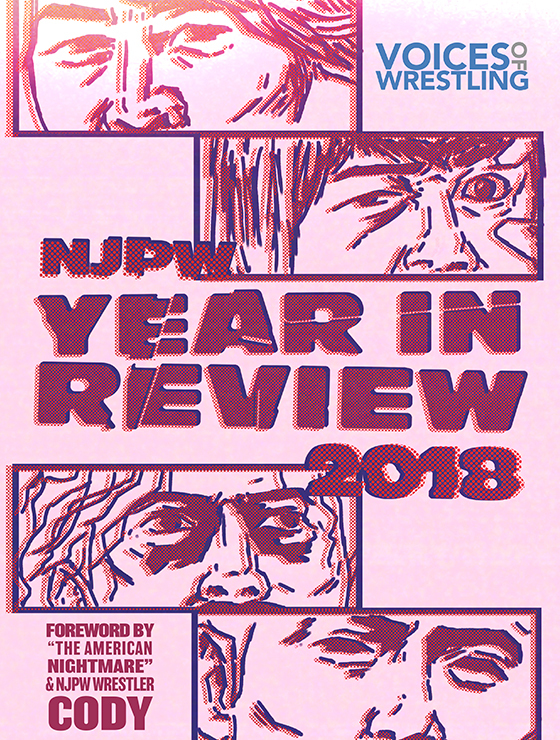 Joe Lanza: Give whoever booked this some credit for putting this together, because this was originally booked for last year’s tour but fell apart due to an Alexander injury. Alexander should be motivated now that he’s been given a second crack at the biggest match of his life. Warren Taylor: Yes! Yes! Yes! Cedric Alexander is one of my favorite ROH performers and I can’t wait to see how he fares against Okada. If the two are able to mesh well this match has the potential to be really good. Aaron Bentley: It took long enough but I’m starting to come around on Cedric Alexander. 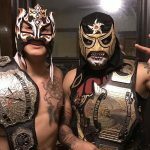 I’m not positive that these two will be a good fit but one thing is for sure: Alexander will take an awesome Rainmaker bump. Joe Lanza: It’s trendy to bash Elgin, but this has a legitimate chance to be the best match of the entire tour. Warren Taylor: Elgin will deliver in the biggest match of his life. I wonder how much Tanahashi has left in the tank after a reputed war against Roderick Strong in Philadelphia. 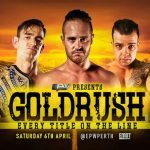 Aaron Bentley: Has Tanahashi had enough time to recover from his match with Roddy Strong two nights ago? It’s not exactly like Elgin works lightly. I anticipate this match doesn’t live up to expectations but I’m hoping to be wrong. Joe Lanza: Lethal, who might just be one of the ten best wrestlers in the world these days, tore the house down last year against KUSHIDA, and has a chance to top that against Naito here. With Naito sticking around North America for a few weeks after the tour, a title change, while not likely, isn’t completely out of the question. Warren Taylor: If you read any of my ROH reviews from last year you will remember how down I was on Lethal’s reign as champion. He has won me over with exceptional ring work over the course of the year. His defense against Naito should be another feather in Lethal’s cap of outstanding matches in 2015. Aaron Bentley: Naito defeated Michael Elgin and Kyle O’Reilly on the Philly shows so he comes into this championship match strong. But as well as Lethal’s reign has been built, I can’t imagine ROH tossing it aside for a non-ROH guy. Still, I really like the matchup and think this could be one of the best on the show. Joe Lanza: This will be utter madness. Nobody wants a well worked, traditional wrasslin’ match here. What this needs to be (and will be), is a balls to the wall, non stop out of control spot fest, with everybody taking turns getting individual pops, and an insane closing stretch that sets the building on fire with heat. The first man to work a hold should be booed out of the building. Warren Taylor: The main event has a spot fest written all over it. But what a spot fest it will be. Aaron Bentley: My eyes will probably glaze over about ten minutes into this. Someone make sure I’ve regained my senses for the finishing stretch of this match as I’m positive it is going to be a lot of fun. WM Weekend Wrap-up, WWE Network Numbers & more!